The Perfect Band to add fun to your Wedding Cocktail Hour – or Reception !! 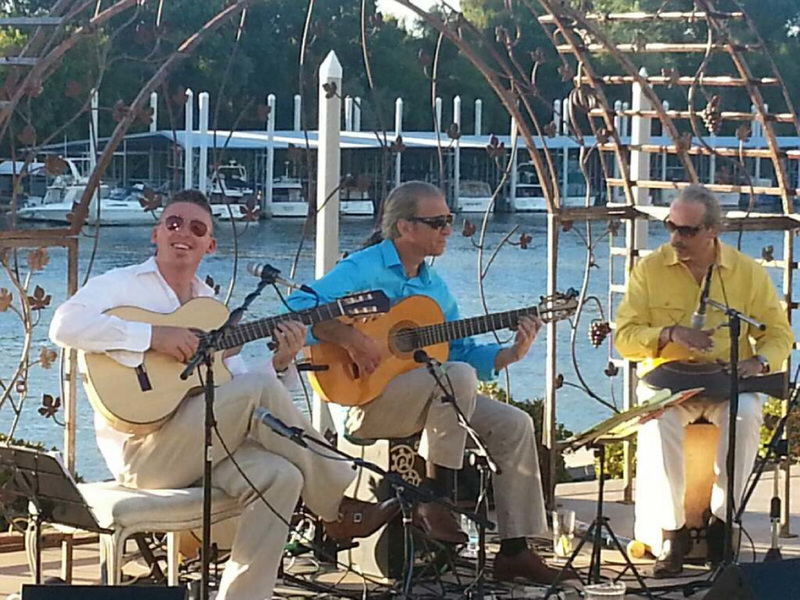 LISTEN TO LOS TRES MEDITERRANEOS on FACEBOOK HERE! Roberto Corrias (Middle in above photo) received his degree from the Italian Conservatory. He refined his musical expression at the Universite’ Internationale de la Guitare in France and via artistic collaboration with Spain’s best known artists of Classical and Flamenco guitar in Seville, Cordoba, Granada, and Jerez. Roberto continues to perform, teach, and carry out extensive research on the artistic expression of the guitar across the globe, and several of his professional recordings have been endorsed in a number of Italy’s national Jazz manifestations. He has composed music for diverse theatrical works performed in international circuits. Roberto is the composer of musical themes for radio transmissions and has been a special guest on Italian regional and national networks – involving both radio and television broadcasts. In addition, he has made professional recordings for Italian, French, Tunisian, Spanish, German, and American television, making headlines with positive reviews from international entertainment critics. Roberto performs as a solo guitarist and in artistic collaboration. His most recent CD, La Calle del Pintau, articulates a combination of various musical influences accumulated throughout over 40 years of experience. Jose Manuel Blanco, El Grillu, (Right in photo) was born and raised in the Spanish seaport town of Gijón, Spain. 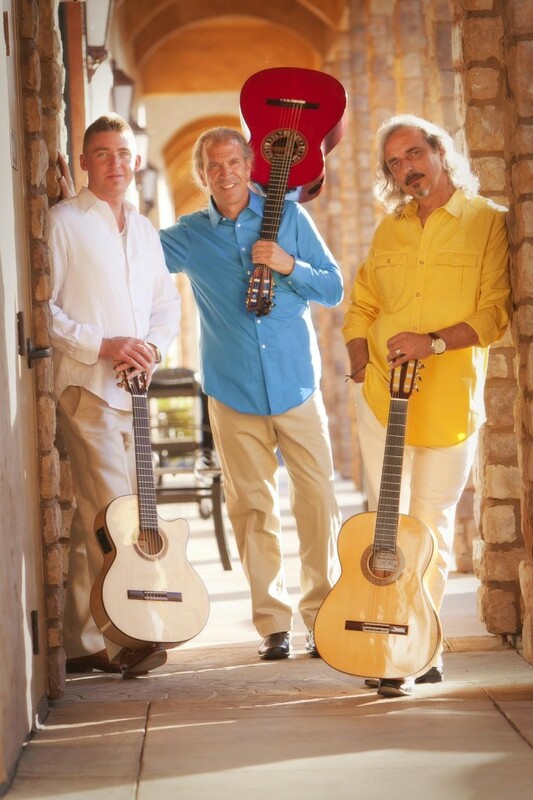 Coming from a family of rich musical traditions – Jose is an accomplished guitar player, producer, arranger, composer, writer, “Cantaor” (Flamenco vocalist) and percussionist. Featured on guitar or as a vocalist El Grillu has contributed to records by artists such as Steve Pasero, Rebecca Mauleon, Tito Puente, Ottmar Liebert, and the Grammy nominated Eddy Xol. “Una Noche,” written by El Grillu in collaboration with Yaya Maldonado and Edgardo Cambon along with “Liliana” are featured in the major motion picture “The New Age”, directed by Michael Tolkin and produced by Oliver Stone. Jose has accumulated more than 30 years of experience through performances and touring with renonwed artists. Most recently El Grillu co-produced and performed on the newest release from Jason McGuire titled “Distancias”, “La Calle del Pintau” by Roberto Corrias and “Soul Encounters” by Jose del Valle “Chuscales”. Michael Sean Miller (Left in above photo) lives, performs, & teaches based in Northern California. Michael Sean of El Dorado Hills, CA has been a featured artist at prestigious venues including The Palace Hotel in San Francicso,Palazzo di Migianella, The Sacramento State Capital, Vizcaya’s Mansion & Pavillion, & The Grand Island Mansion to name a few. Michael has used his gift of music to entertain, inspire, celebrate with, uplift, and comfort during all kinds of different special occasions including Weddings, Concerts, Corporate Events, Political Events, Fundraisers, Charity Events, Restauant Ambiance, Awards Presentations, Anniversaries, Private Parties, Tradeshows, Mixers, Graduation Ceremonies, Funerals, Christmas Events, Church Services, & much more. 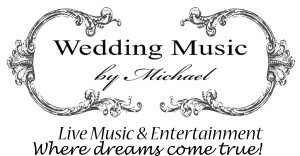 With 18 years of playing experience Michael is both highly gifted & qualified as a performing artist. Big things are yet to be seen from this young man and his music! Together Los Tres Mediterraneos will add a personalized touch of fun & world-class entertainment to make your wedding truly magic! You can also add Flamenco/Classical Dance Artist Bianca Rodriguez to our performance as well as additional musicians including bassist, percussionsists, more dancers etc!